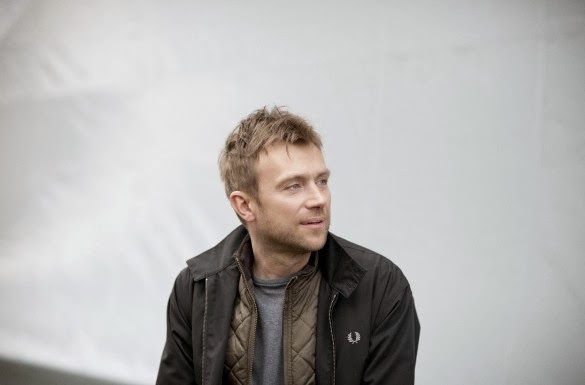 Damon Albarn recently released a video for a new song, "Lonely Press Play," off his upcoming solo album, Everyday Robots (out April 29 via Warner Brothers Records). It's a sweet groove of a tune, all squiggles and burps of percussion plus a tiny bit of solo piano, until Albarn's distinctive yet wistful tenor enters. He resists the urge to build the music, continuing the slow jam only with some vocal doubling, as if to underscore this notion of being alone in the world. I've loved the warm, communicative power of his voice ever since I learned of Blur late in the game (admittedly influenced by the Oasis overload in the U.S.) and have basked in his creative ventures with the Gorillaz. The video is a montage of footage off Albarn's own tablet, taken during worldwide travel to Iceland, North Korea, Tokyo, Dallas and his own country of England (London, Colchester and Devon). He'll be coming to the states this spring to SXSW March 12 at Stubbs, as well as NYC's Governor's Ball June 6 and Bonnaroo Music Festival in Tennessee June 14. Check out the video over on YouTube or here below.